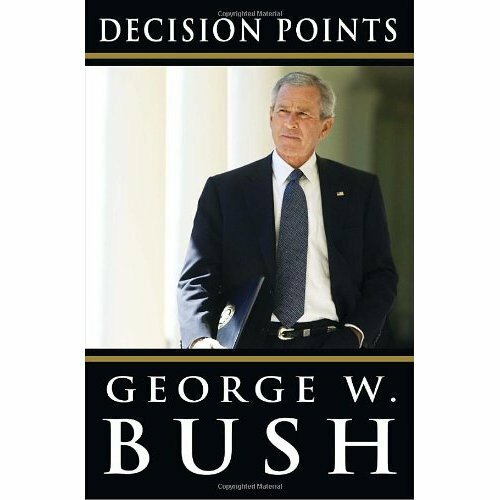 Book Review – Decision Points by George W. Bush – Welcome to wdw.org, the personal web site of W. David Winslow! Recently, I got to spend a few hours in an airplane for a work related trip. No internet or email. No kids. No wife. Just me, and a couple hundred total strangers. During such trips I like to either read a book or listen to an audio book. On this particular trip I decided to listen to the book “Decision Points” by former President George W. Bush. The idea of listening to a recent President discuss some of the most important decisions in his life was fascinating to me. Rather than writing a typical chronological biography, President Bush took the approach of using each chapter to discuss a particular decision he made. It was very interesting to hear his rationale, in his own words for many of his important decisions. This approach made the book easy to follow. Throughout the book I was reminded that all of our Presidents are human, just like you and I. They have feelings, emotions, beliefs, and opinions. Amid the fog of the constant yelling a screaming in the news, it is easy to forget that. As a Christian, I was reminded that our Presidents need our prayers. History will be well served by his book. I enjoyed it very much. If you are interested in current events, politics, or history I think you would enjoy it too!